Joy Ekpo R.N. M.S.N. P.H.N. 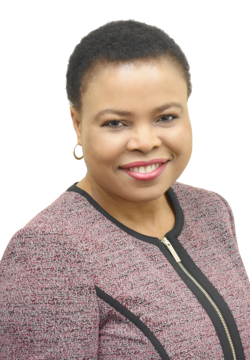 After obtaining her registered nursing license in 1987, Joy Ekpo relocated to California in 1995 and obtained her California nursing license. She developed a passion for geriatric nursing; she geared her career toward taking care of the elderly in nursing homes. She later worked as a nurse in major hospitals such as Cedar Sinai, Kaiser Permanente and Patton State Hospital. Joy used her experience both in the United States and internationally to head multiple successful small businesses in California. She started with opening Nobel Medical Supplies in 1999, which still exists today. In 2004, she then branched into Home Health, when she founded Destiny Hospice & Palliative Care, which despite its current size, every employee and patient is treated as family. Joy is a hardworking CEO and a businesswoman whose methodical risk taking has led the company to success. She was awarded Top Female Executive in 2016 https://topfemaleexecutives.com/2016/09/07/joy-ekpo/. Her insight in the medical field has also resulted in another business, Destiny Hospice Care Inc. While being a successful architect of multiple businesses, Joy has simultaneously advanced her education, by obtaining a Master’s degree of Science in Nursing with a concentration in education. She is a happily married, and blessed with three wonderful children, she is also a mentor to many. She believes that anyone can achieve their goals through hard work and motivation. Please feel free to contact her at jekpo@destinyhomehealth.com or call 951-242-1365. Udoekpo Ekpo M.B.A. B.Acct. GradCertMgt. 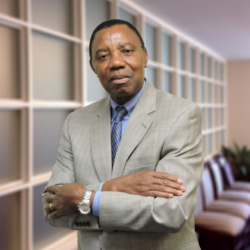 The Chief Financial Officer of Destiny, Udo Ekpo exemplifies ambition and brings wealth of experience to the company. He started his career as an assistant accountant, and rose quickly to the head of accounts with his previous employers. After relocating to the United States, he brought with him different perspective alongside his accounting experience which helps to co-found the destiny companies. He holds a bachelor degree in accounting, graduate diploma in management, and Masters in Business Administration. Mr. Ekpo has been an invaluable asset to Destiny’s financial growth due to his commitments, hard work, and consistency in the workplace. Often the first to work and last to leave, his work ethic influences those around him, making him a pillar for Destiny. He is married with three children. Sarah joined the Destiny team in 2011 as a caregiver, working to provide support to patients and their families. In 2013 she transitioned to an administrative assistant position, and spearheaded the company’s transition to Electronic Medical Record keeping. In 2014 she was promoted to executive assistant to the CEO and CFO. 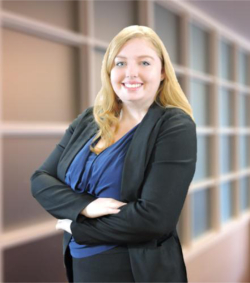 As an Executive Assistant, Sarah plays an integral role in the oversight of administrative departments throughout the company, staff training and interdepartmental coordination. A graduate of the California State University of San Bernardino, Sarah holds a B.A. in Arts and Letters with a minor in Psychology. Initially intending to pursue a teaching credential, personal experience and tragedy lead to the realization that she is passionate about helping those in need; and ensuring that individuals receive the best healthcare possible. Her drive to help others has manifested in her volunteer work for the Girl Scouts of America, CSUSB Children’s Center and Habitat for Humanity.